Affordable homeownership can be a dream come true, especially for families recovering from difficult living situations. It’s about more than just a house; it’s about providing a safe environment and a fresh start. 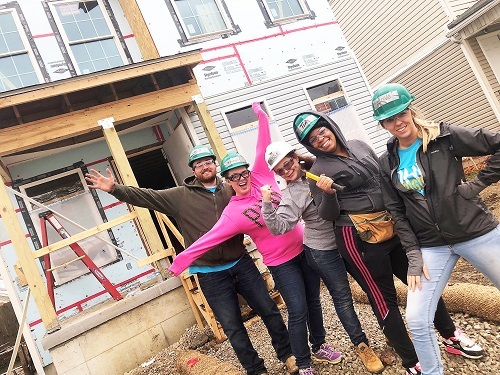 Last month, Wright-Patt Credit Union (WPCU) partner-employees from our Columbus team volunteered with Habitat for Humanity (Habitat) to help make dreams come true for families in the North Linden Community. Habitat is a global nonprofit housing organization with a vision of “everyone having a decent place to live.” Habitat works in local communities across all 50 states in the US, and across more than 70 countries around the world, helping families in need with self-reliance and affordable housing. Our partners worked with the Habitat team over three build days, developing home construction and landscaping skills all while helping to create affordable housing for families in need. “After this I feel all inspired, like, I can go build a shelf with confidence now,” said Tia G., WPCU partner. Habitat for Humanity welcomes volunteers of all skill levels to jump in, learn a lot, and make a difference in the community. For information on volunteering with Habitat for Humanity, visit www.habitat.org/volunteer. 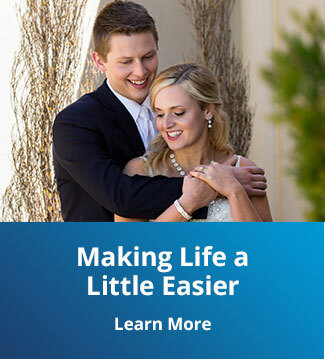 Learn more about how Wright-Patt Credit Union is helping to create stronger communities.